Transform any home into a smart home with the GE Z-Wave Plus Wireless Smart Lighting Control Duplex Receptacle. The GE Z-Wave duplex receptacle enables wireless control of on/off functions from the Z-Wave controlled outlet, and is compatible with incandescent, LED, Xenon, Halogen, fluorescent and compact fluorescent bulbs. The receptacle replaces your current electrical outlet, uses your existing wiring and provides a Z-Wave enabled outlet for the lamp or appliance that you would like to control and a standard pass-through AC outlet for other electrical appliances. The receptacle requires in-wall installation with hardwired connections. 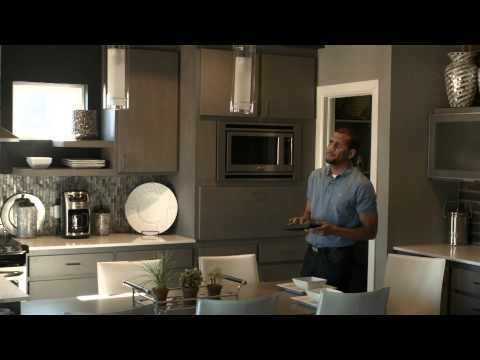 Take control of your home lighting with GE Z-Wave Plus Wireless Smart Lighting Controls! Features one always-on pass-through AC outlet and one Z-Wave enabled outlet with tamper resistant outlets. Works with all LED, CFL. Halogen, and Incandescent bulbs. Up to 50% improved wireless range, 250% faster processor, 400% more memory and energy efficiency over Z-Wave classic products. Requires in-wall installation with hard-wired connections - Neutral wire is required.